Expand and refine your jewellery skills whilst handcrafting a modern cabochon-style ring. Most materials provided. 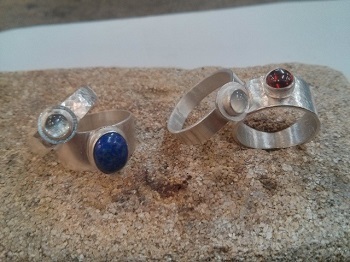 Expand and refine your jewellery making skills whilst handcrafting a modern cabochon-style ring. This course is not for beginners: you must have completed the introductory Jewellery Making - Beginners course. Most materials included in course fee but please bring $10 in cash to pay the tutor for your gemstone. Bring pen and paper and wear clothing and footwear suitable for a workshop environment. For those who have completed the "Jewellery Making - Beginners"